New ownership, same old gimlets in the tiny Milwaukee Ave spot. History The Matchbox has been a fixture on the corner of Ogden and Milwaukee Avenues for more than 75 years, acquiring a new life—and a much cleaner look—when Chicago restaurateur David Gevercer took over the space in 1995 and started serving classic cocktails at a cheap price. In December, Gevercer turned over the bar’s keys to longtime bartender Colleen Bush, though he remains a co-owner. The 18-seat bar is famous for its cramped layout, narrowing from 15 feet wide to 3.5 feet toward the back, where the bathrooms are. Creativity The drink list hasn’t changed in years. 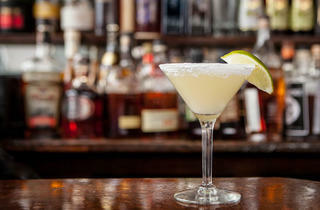 The margaritas and gimlets are still the draw: smooth, delicious and sweet (glasses are rimmed with powdered sugar). Quality Every drink tastes like a classic cocktail should, replete with a healthy dose of booze. The powdered-sugar rim can be a blessing or a curse depending on how sweet you like your drinks. 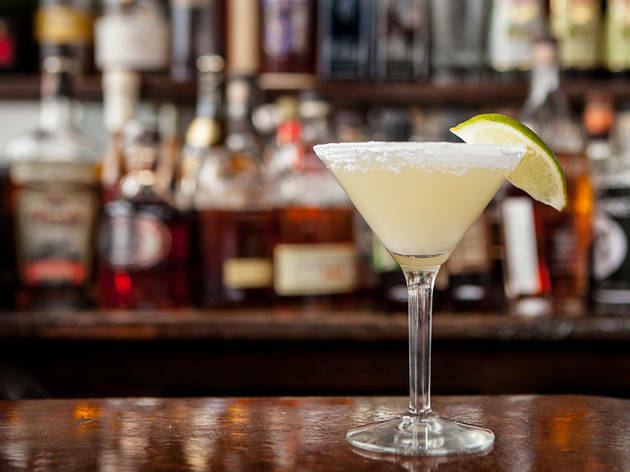 Value Margaritas and gimlets come in huge portions for $8.50—a real bargain. Final evaluation Go often enough, and this may be the closest thing you’ll find to a Cheers in Chicago.